Magic Carpet Lost Its Magic? 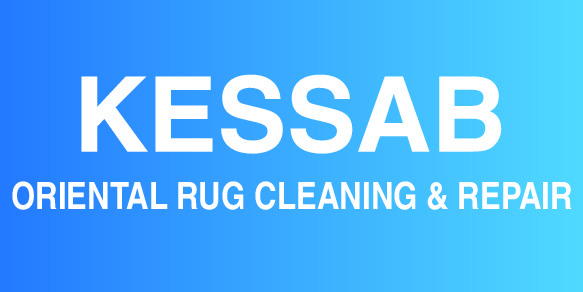 Kessab Oriental Rugs & Carpets cleans, repairs and restores the beauty of your oriental rugs. An oriental rug’s vibrant colours and complex patterns are often at the centre of a room, inviting people to gather, to sit down and relax. While this means that the rug’s artistic details are appreciated and enjoyed, it also means that the rug is vulnerable to constant traffic, stains and the weight of the sofas and tables placed on it. If your oriental rug is showing signs of wear, Kessab Oriental Rugs and Carpets is the oriental rug specialist to call for oriental rug cleaning and repair in Windsor, Ontario. For more than 30 years, we have helped restore valuable and heirloom oriental rugs to their full glory. Typically, damage to oriental rugs begins along the edges, with a fraying of the sides or the loss of the fringe. This kind of damage should be dealt with as soon as possible, before any further unravelling occurs. If pile has worn down in the middle of the carpet or if the carpet has holes, we can reweave these areas by hand, carefully matching the wool and dye for a practically invisible repair. Kessab Oriental Rugs and Carpets can clean all kinds of carpets and rugs. The cleaning of oriental rugs especially is best left to professionals who know how to clean the rug without fading its beautiful colours.